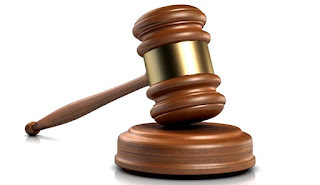 ZVISHAVANE - A woman who was married once to a popular chrome miner in Zvishavane has gone to court demanding US$3 000 maintenance for herself and her two kids. Memory Msichili claimed that her ex-husband Mubhobho earned more than US$15 000 from his mining activities. Msichili said US$1 500 was for herself and the other US$1 500 was for her two children. Mubhobho said he was struggling and was finding it difficult to make even ZRTGS$3 000 a month from his mines. He said Msichili was just looking for attention from him in the hope that he will come back to her again. The case was heard by Magistrate Shepherd Munjanja at Mberengwa Magistrate court on Monday. "My husband is well known in Mberengwa and Zvishavane because he makes a lot of money and I know that US$3 000 that I am claiming is nothing to him. He owns chrome and gold mines," said Msichili. Mubhobho was represented by Lawyer E Mandipa of Mtatu and Patners.